California, a massive state, it can feel endless. I saw every inch of that, from bottom to top. It's difficult to explain the feeling, but it feels significant. I didn't hike a piece of California, or a section, I hiked all the way through it. It's still only a piece of the Pacific Crest Trail. If I broke my leg tomorrow, I would have still hiked all of California, not just some of California. It suddenly has meaning. I've yet to complete Oregon & Washington, two states combined that don't equate to half of California. It's like finishing your hardest homework first. I've been learning the whole "mental" aspect of this whole thing. Such a common sentiment it is. "It's all mental", "Mind over matter", "If you put your mind to it, you can do it". An idea trite yet somehow true. 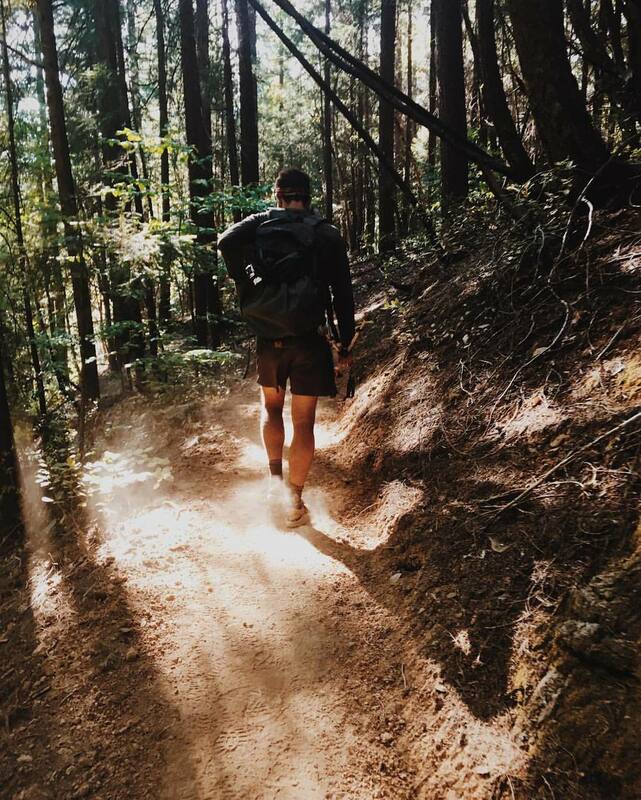 Hikers often get locked into the mental game of how many miles they can complete in a day, in a half day, in an hour. When planning our route, someone may spout, "there's no way I can do 34 miles in a day, it's just not possible for me", which may be the case, but rarely is. I did this myself. I had my mental limits, I knew the math & decided I didn't want to work that hard. I decided that my body would hate me, that I wouldn't enjoy it. Until a few days ago, when we hiked 40 miles in a day. After hiking that, it feels like I could have hiked just a bit more. Anything below that is suddenly attainable. The upper limit rises. A simple but crucial lesson. So often our self doubts are rooted in limits we've decided for ourselves, and we never test them. They're all "mental". Annoying, I know. When I was beginning the Pacific Crest Trail, I was filled with self-doubt. Constantly comparing myself to other hikers. Not because I don't believe in myself, but because people who believed in themselves still failed. Tons of people quit every year, why? Am I going to be one of them? People often drop out in the desert section. It's where people realize that they aren't cut out for this. It separates the boys from the men. After finishing the Desert, you hit the Sierra. The most beautiful section. Most people get through this, cause it's just downright awesome & beautiful. Then comes Northern California, much less glamorous than The Sierra. Mostly trees & fields, hotter temperatures, saturated with mosquitos & boring towns. This is historically the section where most hikers drop off. Next is Oregon & Washington. I made it past Northern California. I didn't drop out. At this point, I'm far from self-doubt. I know exactly where I stand. People only drop out after this point if they stop having fun. 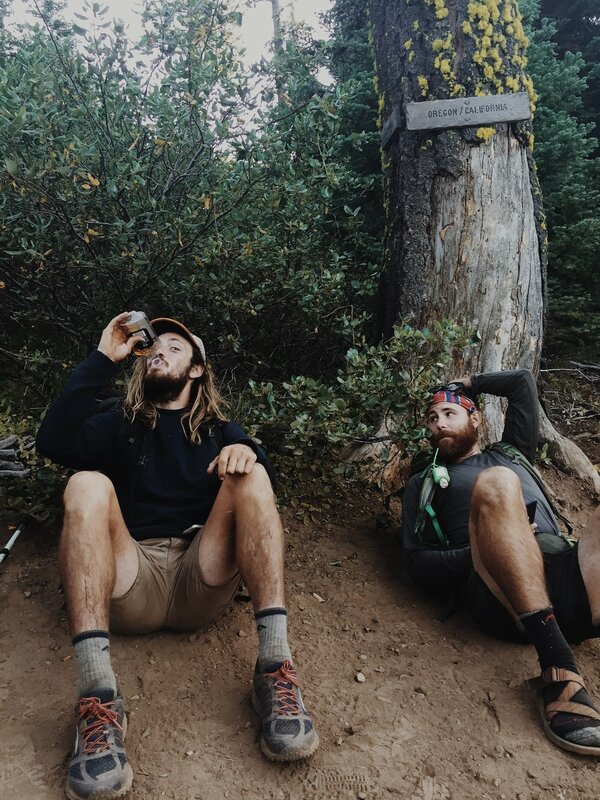 Emotionally & mentally it's been a breakthrough, I'm consumed with the Pacific Crest Trail in a way that causes a lot of other worries to fade. Gradually nothing else deserves attention. Being fully present comes easier than living in the thoughts of my past and future. Thoughts are quiet, unfocused, unproductive. Not always deep. I search for the longings and fears and the life questions you're supposed to answer out here. Lately I've had trouble going there. I'm learning to be okay with that. I think about home, and how I don't really miss it. I think about what life looks like & doesn't look like after the PCT. It's all tiring & simultaneously life giving. After 2000 miles hiked, I'm really tired, but not really tired. 100 marathons. You have a set window of time to complete them. You're allowed to walk, if you want. Take as many breaks as you need. You can gorge yourself at restaurants from time to time. The majority of nights will be spent sleeping on the ground. You will ascend and descend mountains daily. You will begin in the desert with waterless stretches of up to 30 miles. You will finish among the mountains of Canada. The snow season will be chasing you. 35 pounds will always weigh you down. You will not be alone, although sometimes, you will feel alone. It's gotten to the point where I hike about a marathon or more every single day. My only job is to wake up, eat, walk. My body feel amazing. It's the greatest weight-loss plan in America. I've lost somewhere between 10-15 lbs and 2 waist sizes. That includes the muscle that my legs have surely gained, not that I had a ton of weight to lose or anything. Everyone out here loses a ton of weight, I've heard of people dropping up to 50 pounds. The human body was created as a calorie machine. We calculated the amount of calories we burned on our 40 mile day and it amounted to about 9,000. It is not actually possible to eat that many calories, much less carry that many on your back for 4 days at a time. They say if your sweat starts to smell like ammonia, then your body is consuming your own muscle, because there's nothing left to provide energy. I've personally not experienced this, although at times, my sweat has smelt like mashed potatoes. Gross, I know. The amount of energy produced & used is remarkable. I'm now significantly addicted to endorphins. On zero days, where we don't hike at all, everything feels & terrible, we're slugs, my body is anxious, it needs something. Being productive helps, but doesn't quite hit the spot. It's usually subconscious, but the depravity doesn't go unnoticed. On a typical day I feel energize beyond what I previously thought possible. It's awesome. Remember childhood? When running didn't hurt, & you needed to run around, not because you think you're fat or out of shape, but because this weird hunger inside you needed to be satisfied. That's what it's like. What a beautiful gift, I plan on never letting that go again. I think back to the days I was tired in the city and I wasn't really tired, or exhausted. It was just what my body defaulted to because I didn't using it. Getting up to walk to work or to the bathroom or to get food doesn't count. Our world is designed to get us through an entire day without exerting our bodies. Then we spend more money trying to lose weight than it would take to feed the entire world. How backwards is that? We aren't designed to sit around, yet that's all we do. To be in such a natural state, you realize how much society doesn't want you in that natural state. It's good to be in line with what my body wants. Most people complain about foot problems. Praise God I've only gotten one blister. Each morning the balls of my feet are swollen and tender. It feels like a bubble of blood sits on the bottom of my feet every morning & if I step on them, that bubble will pop. Every step hurts, I swear I look elderly in the beginning hours of the day. It goes away after about 30 minutes of moving around. As for my legs, they feel stronger than ever, typically tight and not very flexible, but powerful. Recently I was sprinting around Yosemite village to catch a bus. I ran for about 15 minutes, not long I know, but I was running hard, but it was the first time id ran in a long time. Afterwards I wasn't breathing deeply at all, it was like I could keep going forever. It felt rad. I've ran and trained in the past, but the process is usually gradual, this time it felt instant. It felt like my body was supposed to feel. It's hard to know where to begin. Like I said, my thoughts are everywhere. Lately there's plenty of company on the trail. A new season. The introverted semi-solo journey that I embarked on in May, no longer feels as solo. Of course I've always had my hiking partner Aaron, and we've been consistent about giving one another space to be alone with our thoughts & footsteps. Since then, we've gotten to know plenty of people on the trail. It's been beautiful, an aspect of the trail that I've found myself longing for, but it is less of an empty desert, ripe for deep thoughts & emotional toil. A result of the new social life, the less grueling nature of hiking & the literal nature of the trail, less dry, less open, less hot, less bare. Initially I wanted to categorize this period as "The Doldrums", where things are moving along, but nothing significant ever happens. This isn't the case at all. In the past on the trail, specific things consumed my thoughts, proud of my intentional thoughts & resolutions. Now, thoughts mostly come & go, the important ones stand out. I've been practicing the art of listening to myself think, being fully self-aware. To hear a thought, negative or positive, let it pass, or let it stay. Take note of where that thought takes me, & whether or not I should follow it from here on out. I do know this: Hiking the Pacific Crest Trail falls among the best decisions of my life to date. I've learned the tangible, physical aspects of the body & the natural world, but more importantly, I've come to know myself deeper than I ever have before. To know yourself is to spend time being with yourself. Not minutes and hours, but to ask yourself who'll you'll be when you die and who you'll wish that you were. To listen to silence until the answers roar. To let yourself feel what it wants to feel & to be there for yourself. I want to say it was timely, but it was probably just time. I needed something, but I didn't know what. I needed space. I needed the challenge, the despair. I needed to be in love with my life again. I am. What makes that happen? It's hard to put my finger on it. Every time that feeling is experienced, I can only hope that it's easier to repeat. I don't miss city life. I never wake up & wish I was in the city. The obvious response is, "of course you don't miss home, where you have to work & pay for stuff, you're basically on vacation". While this is true, it's not about that. And no, this isn't a vacation. It's mostly about purpose. Waking up everyday with the purpose of walking, as simple as it is, satisfies so much. Of course I miss my friends & the fun things we'd typically do. I don't particularly miss San Francisco or Oakland as a place. The further I hike, the less appeal those places have to me. I'm sure part of it is rooted in the euphoria that comes from being in the beautiful wilderness, but another core part of it that I don't miss is the culture. It's been so amazing to be in a place where nobody is racing each other. I don't miss paying high prices for things I don't need, and finally don't want. I never wake up wishing I had a room full of things that I don't need. Yeah life out here is obviously simplistic, just the clothes on my back, etc. but it's real. I don't need it. I wouldn't trade the joy I've gained for the standards or for approval. I've been satisfied out here. My identity is no longer trying to find itself in the shallow waters of achievement & materialism. I'm not positive it was before, but those ideas definitely weren't foreign. I'm still figuring it all out. Part of why I've procrastinated this post. I don't have a ton of conclusions. It all feels like a sloppy sketch. It's coming together though. It feels good. I'm so thankful for anyone who's put their time into reading what I have to say, it means a lot. There will definitely be more to come. I hope to write more consistent, shorter blog posts in the next month!